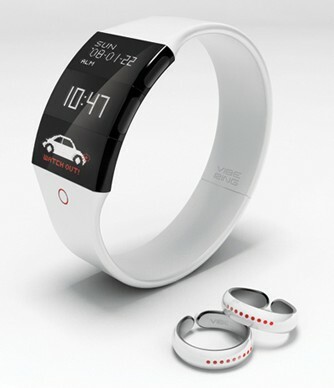 Korean Designers Kim Min-hee, Kwang-seok Jeong and Hyun-joong Kim come up with a concept for a clock, called “vibering”. The idea behind it: The clock and the corresponding rings “hear” noise and might warn (e.g. deaf) people who wear them. So far we have no further information about this concept (e.g. what noise is supposed to be detected etc) . 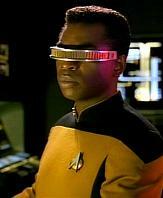 Anyway, concerning the optics, zeitgeist already drew parallels to Geordi La Forges “Visor” in Star Trek. This entry was posted in blind, deaf, design project, Film, movie. Bookmark the permalink.